The moon has always ruled the tides, and it is said to rule the tides of the heart as well. Many cultures hold it as a symbol of femininity, as the sun is a symbol of masculinity. 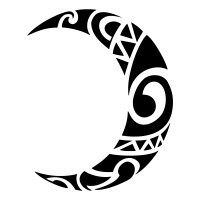 Many rytes held in moon´s honour concern fertility, and in fact the moon is often seen as the mother. 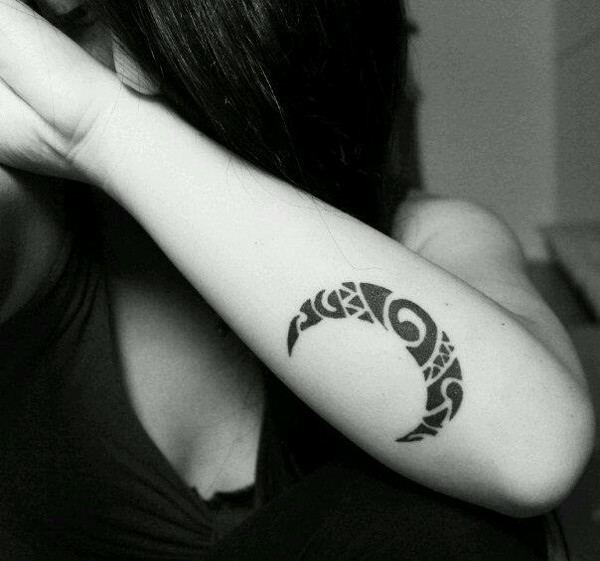 Anna requested a Maori styled design that could fit both her ankle and her wrist.